When I visited Natchez, Mississippi last May with my friend, Linda, we toured Stanton Hall, a beautiful Classical Revival mansion built during 1851-1857. Linda had toured Stanton many times before and couldn’t wait for me to see it. I couldn’t wait either! It was very grand inside and I was looking forward to taking photos to share with you here on the blog. Imagine how disappointed we were when the docent began our tour by saying absolutely no pictures were allowed inside. What??? The docent told us the reason pictures were no longer allowed is because when Stanton Hall was featured on an episode of This Old House with Norm Abram touring the home, shortly afterwards a valuable sterling-silver piece (a large bowl, I think) vanished from the dining room sideboard. They blamed the theft on the house being featured on the show to millions of viewers. From that day forward, all photography inside was banned. Boo hiss! Don’t you just hate it when one bad apple ruins it for everyone. 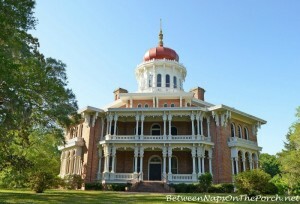 The book I’m sharing today opens with a few views of the interior of Stanton Hall along with a ton of wonderful southern recipes from the Natchez area. But that’s just the beginning! Lee Bailey was a columnist and contributing editor for Food and Wine magazine. 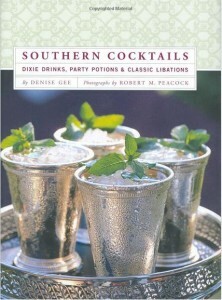 This book is primarily a recipe book sharing some of the best food you’ll ever eat from the Natchez Mississippi area. 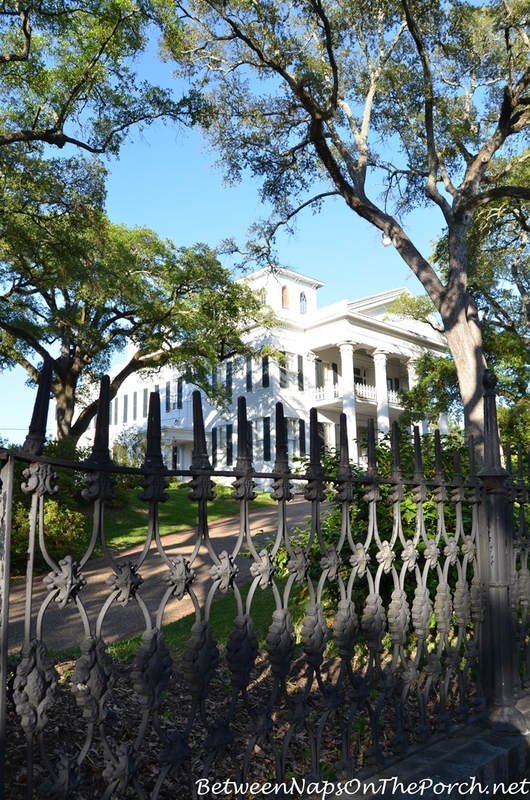 The bonus is it gives us little glimpses inside 19 antebellum homes in Natchez! What a great concept for a book. When I read about it, being an old house lover I knew I had to have a copy. The historic Natchez homes Lee takes us inside in this book are: Stanton Hall, Elgin, Hawthorne, Mistletoe, Belvedere at Monmouth, Oakland, Edgewood, Cherokee, Green Leaves, Hope Farm, Dunleith, Montaigne, D’Evereux, Elms, Lansdowne, Routhland, Twin Oaks and Linden. 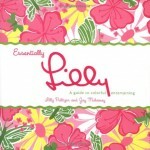 I want to try every recipe in this entire book; they all look and sound amazing! In addition to some beautiful interiors, we are also treated to several gorgeous table settings. 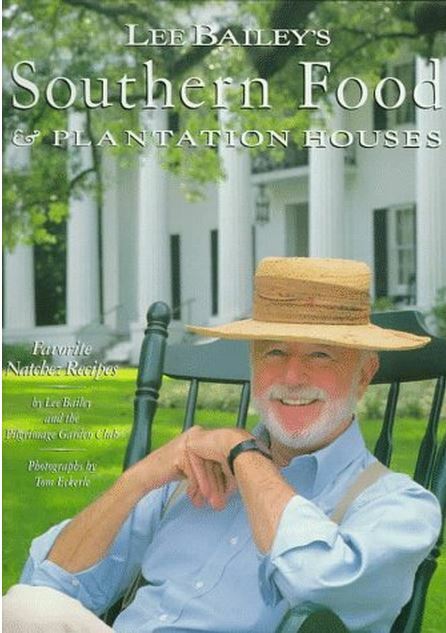 You can read more about this book, Lee Bailey’s Southern Food And Plantation Houses at Amazon where I normally buy my books, via the picture link below. What a fun book. 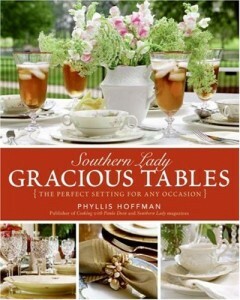 It features three things that I love…Plantation homes, food and tablescapes. Love it! Thanks , Susan. 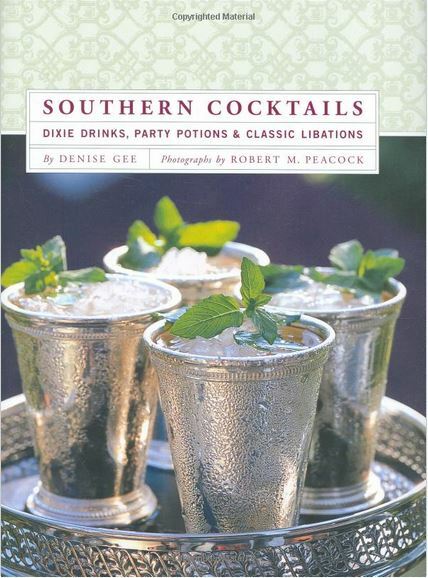 We’ve never been to Natchez, but looks like a city that we would love touring…I’ve ordered this book from our library….it’s becoming a habit…when you post a book, if I don’t already own it, I order it…. WHAT FUN for a bibliophile! Thank You! How can I search your blog? I’m specifically looking for information on plate hangers. Thanks. Judy, the search feature is right at the top of the sidebar. You’ll see Subscribe, About, FAQ, Contact and Search tabs. Just click on the Search tab and the search box will open. I don’t think I’ve posted anything on plate hangers. What type are you looking for? I know there are a good many places that sell them online. I usually buy the wire type although you have to be super carefully when using them or they could damage the edge of plate if you’re not careful when attaching those. I found the information on another blog. Thanks! I also found the search feature on your blog…it comes in very handy! Hi, the same thing happened to me while touring an historic home in Adelaide. Government house. So whenever I could get the opportunity off I went snapping away, didn’t even dawn on me that theft maybe the reason. Pleased nothing was stolen that day!! Have lovely snaps of that day and even one with the governor(he didn’t object). As we rarely have a holiday it’s a shame that others spoil it. Love the blog. Glenice.